I'll post a larger image of this soon just so you can all double check it and make sure I spelled everyone's name correctly! The artist responsible for the background image is named Jason Pedersen. You can check out more of his work here. 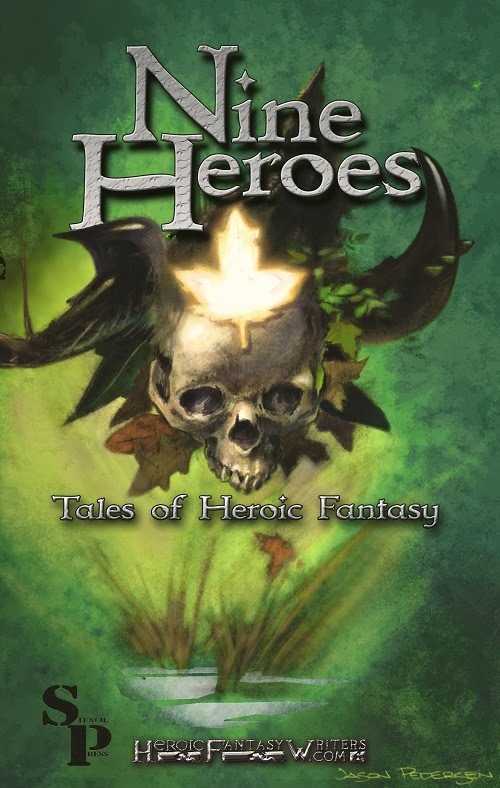 My guess is that if you've spent any time on the "Heroic Fantasy Facebook Page" you will have seen some of his artwork gracing the covers of some other books. Currently Cas is editing this and I'm hoping to have it available in early February. I'm pretty psyched about the cover and I hope you are too! It's great to see this project come to life! For those of you who have forgotten, here's the original post about this book. That's it for now, the next time I mention this it will be to tell you where you can get your copy! Perseid press is proud to release “The Reader of Acheron” by Walter Rhein. “Reader” is the first book in the “Slaves of Erafor” series. 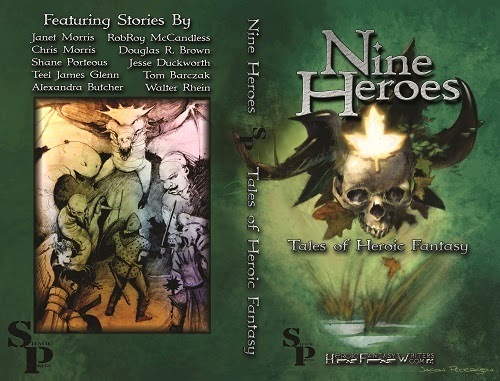 The novel is a heroic fantasy that takes place in a post-apocalyptic dystopia in which reading has been outlawed and human exploitation is prevalent. Janet Morris is the editor of the work, and is famous for being one of the more celebrated contributors to the “Thieves World” shared universe. The first three Thieves World novels: “Beyond Sanctuary,” “Beyond the Veil” and “Beyond Wizardwall” have also recently been re-released from Perseid. Walter Rhein is most well known for his novel “Beyond Birkie Fever” which was selected for the 2012 Chippewa Valley Book Festival. His first novel “The Bone Sword” was published by Rhemalda Publishing in 2010 and is scheduled to be re-released by Harren Press in February 2014. “The Reader of Acheron” is the beginning of a fairly ambitious project, and further stories in the series are in development. This is one of the most sophisticated fantasy books I’ve ever read. It’s one of the few fantasy books I’ve come across that indulges in an eloquent, poetic style of writing that suggests rather than explicitly states its meaning. In fact, I was a little disoriented by the style at first, but as I continued along with the adventure of Tempus and Nikodemus in their pursuit of a ruthless, powerful foe, I found myself becoming more and more comfortable simply surrendering to the rhythm of the language. 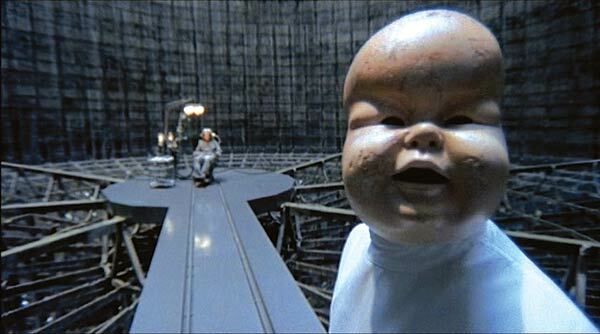 Much that happens in “Beyond Sanctuary” is of the “blink and you’ll miss it” variety. There are moments of “real time” intensity to be sure, but, especially early in the novel, hugely important plot points can be swept up within a few sentences or paragraphs. A torture scene, for example, takes about three sentences even though it’s a moment that has repercussions that echo until the end of the book. These are all interesting choices on the part of the author, Janet Morris, and as I write this, reflecting on the book, I have to concede that they were effective ones. The “torture” scene is just as reverberating as if Morris had spent pages and pages skillfully relating every painful detail. To achieve the same effect with an extremely minimal amount of words is remarkable. This is not to say that the book is short. It’s a lovely, hefty volume that is packed with instance after instance of concise and effective storytelling. Reading it is a very hypnotic experience, and some of the sections only seem to make sense within the context of historical literature. Tempus evokes personalities from the Illiad--not one character in particular but the general perfume and thunder that must have accompanied a hull full of warriors sailing off to war in a rickety vessel. “Beyond Sanctuary” is a story of heroism, but more importantly the responsibility of leadership, as well as the burden. This novel is not the typical Hollywood dreck that paints everything in broad strokes of white or black and leaves no concern over contradiction or irregularity at the end. Instead, Morris elects to live in the gray zones, and the consequences of that choice cause the characters to linger like ghosts at the fringes of your thoughts. There is more glory in reality than in the cartoon version of heroism we’re too often forced to swallow. If you’re still not quite sure of the ride you’re in for, just have a look at the expertly matched cover artwork. The jumble of warriors tumbling from the heavens in a knot of limbs, horses and chaos is exactly the kind of fray you’re likely to find yourself in the midst of within the pages of “Beyond Sanctuary.” Don’t be too discouraged if you pick up this book and find yourself confused for the first ten or twenty pages. It takes a while to find the thread, but nothing good comes easy. This edition is the “Author’s Cut” of the original 1985 release, and it’s interesting to note that although this book is approaching its 30th anniversary, it seems as fresh as a new release. “Beyond Sanctuary” evokes a classic mythos and succeeds in achieving that rarest of literary feats: timeless relevance. Pick it up and enjoy the ride! 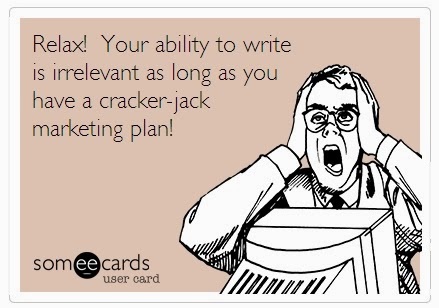 Your ability to write is less important than your marketing plan: Pretend you're a publisher. Kanye West or Bill Clinton or somebody comes to you with a manuscript. Do you even have to read it before you know you're going to publish it? No you don't! Those people are famous and no matter how terrible their writing is, they have enough media influence to ensure the book will be profitable. If rejection letters were honest they'd say, "you're a great writer, but the fact is that you aren't famous and we don't live in a society in which books are a viable means to profit unless they are written by somebody famous." Lots of publishing houses are run by idiots: Just because somebody's got a "Master's Degree" in English doesn't mean they know anything about English. We've all seen those episodes of American Idol where singers show up who have spent tens of thousands of dollars on fancy musical degrees only to demonstrate they can't sing a note. Just because somebody managed to get a loan from a bank to start up a publishing house doesn't mean they know anything about writing. Lots of publishing houses can't do much for you anyway: Really, when your book is accepted for publication all it means is that the book will be edited and you'll get a cover. That represents maybe a $1000 investment (and is probably done for a lot less than that in many publishing houses). Fewer and fewer places offer advances these days, and most books never earn enough to actually start paying royalties. If you aren't famous, publishing houses aren't going to spend much money on advertising (they'll probably spend nothing as a matter of fact). Also, many publishing houses offer a contract where you'll only be seeing 5-10% of the return (as opposed to 100% if you self-publish). Publishers overextend themselves: The playing field is so tilted in the favor of publishers that they are often scrambling to acquire as many projects as possible. However, even with their minimal investment they can get behind and go out of business. This is usually preceded by a "Uh-Oh" moment where they start rejecting everything that comes through the door. Although they're never going to send you a rejection letter that says, "we've been making bad decisions and we are in grave danger of going bankrupt." Nope, the rejection letter always blames the writer. The rejection letter always blames the writer: Very few people are self-aware enough to realize when they are in fact the problem and not the people that surround them. For some reason, there's this authoritarian hierarchy in place in the world of publishing where the writer is on the bottom rung. It's bullying, quite frankly, and it has probably been put in place because insecure, brow-beaten writers are easier to control than self-confident ones who understand their own value. If you need your publisher to stroke your ego, then you're probably not in the place you need to be mentally to have a book become successful. Hey, your boss never says, "you're doing great and our company would go broke without out." Why not? Because your follow up to that statement is "can I have a raise?" Snarky general attitude in publishing and literary studies: What the hell is it with literary circles anyway? The internet is half the problem because you get these people who have never received a dime for a single word they have ever written, yet they prattle on for hours berating talented, hard-working writers who have actually tasted success. Even in the face of overwhelming evidence of mediocrity, these people continue to spread absurd axioms about "what you have to do" in publishing. These are the type of people who are unwilling to build a fan base by publishing with an "indie" house because they're sure their manuscript can only be published by Penguin...as soon as the folks at Penguin come to their senses. Look folks, the ONLY reason a person berates you for accepting a contract with a smaller publishing house is this: JEALOUSY!!! There is no definitive and accepted method for evaluating a manuscript: Here's a little fact for you, for about two hundred years after his death, Shakespeare's sonnets were generally considered to be "second rate" by the literary community of the time (the guy didn't even use the correct rhyme structure for crissake). If effin Shakespeare couldn't get a pat on the back for his sonnets, what makes YOU think YOUR work will be universally praised? There's no scientific evaluation of manuscripts that infallibly separates the good ones from the bad ones (heck, even the reading public that BUYS these books cannot seem to separate the good ones from the bad ones). Most publishers are unwilling to take risks: Although most publishers say they want manuscripts that are going to be "the next big thing" they are all more likely to actually publish books that are retreads of familiar vampire or zombie themes. The majority of people in the world have the same passive attitude where they don't take the necessary steps to achieve the goals they have set for them in life. These are the same people that resolve to lose 10 pounds every...single...year...and never do it. Should you really be upset when a person like that doesn't like your book? Submit your novel to a person you respect who is capable of achieving his/her goals. When they acquire the rights to the novel, your goals become their goals remember! These days I'm fortunate in that I have good working relationships with Perseid and Harren Press, and I was fortunate to be able to work with Rhemalda Publishing before they ceased operations. 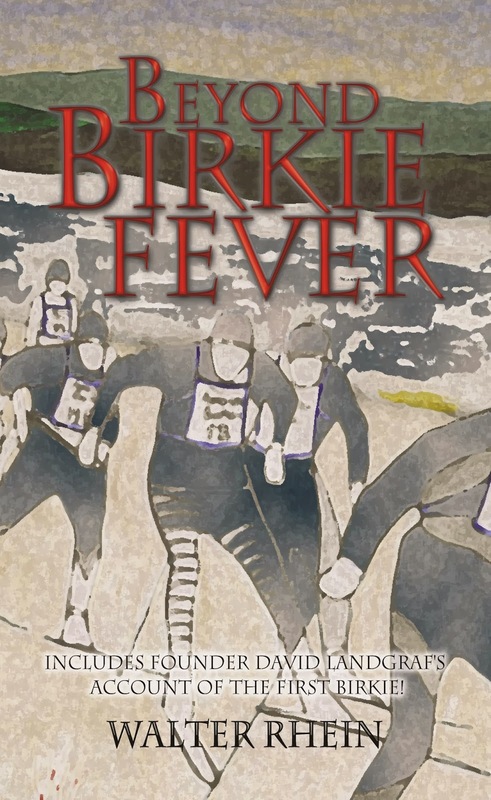 Rhemalda was courteous when they closed shop, and reverted the rights to my best selling book "Beyond Birkie Fever" back to me. I didn't even look for a new publisher for that book since it was already selling well (why should I share the proceeds with somebody who did nothing to make the book successful?). A writer should never get "down" about having a book rejected. These days there are so many publishing houses that if you are truly committed to becoming successful as a writer, you will find a home for your work. Once your stuff is out there, you can build a fan base and get to that point where publishers will be afraid to reject you because they know your work is profitable. It's not magic though, it takes time and hard work to get there.